I hope you are all enjoying this winter with the highest amount of comfort and hygge possible. I am excited to share my Sakara Life Total Body Transformation experience with you all! 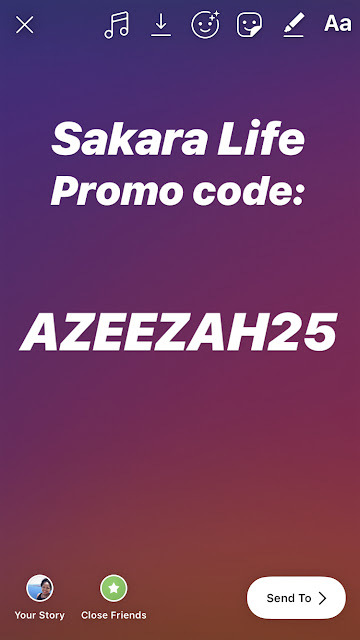 You will find an exclusive discount code for 25% off at the bottom of this post. I am an affiliate for the organic food delivery service Sakara Life, as well as a fan and a customer, but I was not paid to take part in the Total Body Transformation (I paid for it with my own hard-earned $$$). I am a lifelong vegetarian, but after moving to New York for work I found that I struggled to put together nutritious, tasty meals while dealing with the demands of my job and the daily pressures of the NYC grind. 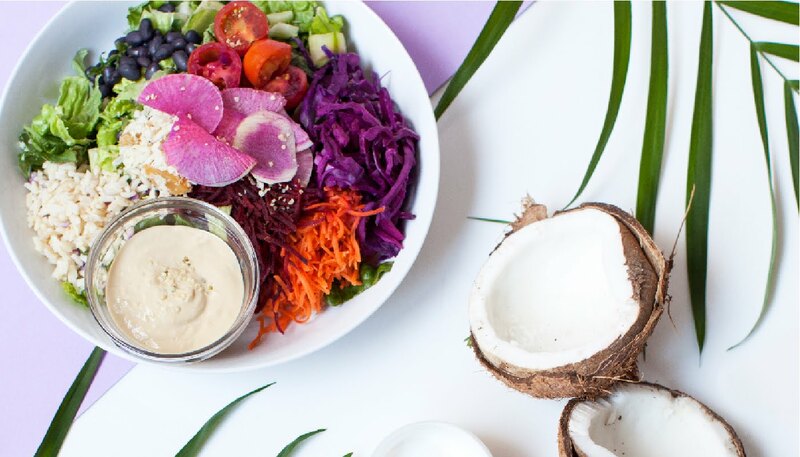 Ordering Sakara Life meals has really helped me, as I know that I am getting organic, locally-sourced and nutritionally-balanced meals that don't involve fighting the lines at Whole Foods or Trader Joes, coming up with recipes, and cooking everything before it spoils. Normally, I order 3 meals a week 3 or so weeks a month. This gives me the flexibility to cook when I can, have the occasional dinner with friends, or order food to the office when I had to stay late. I attempt to eat healthy meals when left to my own devices but often find myself ordering something off of Seamless or standing in line at Chipotle. After a health scare in July, I was prompted by the Universe to reevaluate all the little bad habits I'd picked up that were undermining my bigger goals. The hours spent sitting down, the nights spent watching Netflix instead of attempting to socialize, and stress eating were taking me down a bad path. After spending years working to "get the job", I had forgotten how to dream and was letting my circumstances dictate my lifestyle. Not to sound completely cheesy, but it is incredibly important to have dreams and goals. Without them, you'll stagnate at best. At worst, you'll regress. One of my goals is to get into great shape and really learn how to take care of my body. I'd already been making a series of changes to my lifestyle -- oh hay, standing desk! hiya, actually-going-to-scheduled-doctor's-appointments! -- so when late December 2018 rolled around, I was already in a "change positive" mindset and raring to go into 2019. I'd never been one to make resolutions, but I realized after some reflection that I didn't make resolutions because I was afraid I would fail. 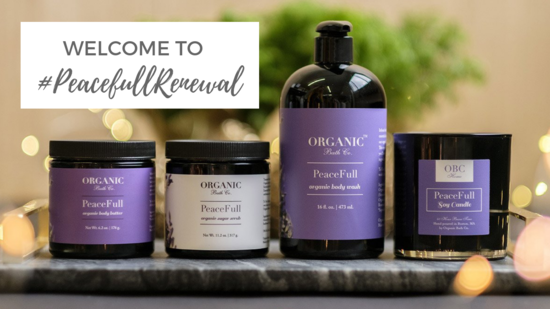 Embracing my new positive, anti-self shaming outlook, I signed up for one of Sakara's quarterly special programs: The Total Body Transformation. Full of goodies and gift certificates from True Botanicals, Coyuci, Pursoma and more! While I love my body and don't feel that it needed to be totally transformed, I definitely felt like I could benefit from more veggies in my life. Doing a program represented making a commitment to show up for myself for four weeks. Before, I would guilt myself about ordering meals when I "should" have been cooking, or spending money on delivery meals when I "should" be putting every last dime toward student loans. Investing in this program represented investing in myself after a long period of neglect. I also liked the sense of community. It is fun to hop on the 'Gram and see that other Sakara fans are documenting their experiences and eating the same meals. It has helped me feel connected in a really nice way. A preview of the food. So delish! I customized my Total Body Transformation to receive two meals per day (lunch and dinner) for three days a week, which is double the amount I usually do. I finished the four-week program on Wednesday, and I feel so great! Not just as a result of the meals, but for successfully finishing the program. I rejoined the gym (another "big things poppin' in 2019" move) and started doing cardio and weightlifting, so I can't solely attribute any weight loss to the program, although I am sure it helped. I do know that I felt a lot better. You don't notice how many tummy aches and headaches and other random things you experience from eating gnarly foods until you cut back on them. pepperjam verification. I also felt happier that I was showing my body the love and respect it deserved by eating healthier. I dabble vegan in part due to ethical/environmental concerns about the dairy industry, so I was happy to know that during these four weeks I was contributing less to that system. I also loved the weekly "love notes" I received via email from the Sakara Team with positive affirmations and mantras for the week. I really appreciated that personal touch. I will go back to doing the 3 meals a week every few weeks, but I am so glad that I did the Total Body Transformation. It was a perfect kickstart for 2019, which I really feel is going to be a great year for us all! I just came back from literal paradise on earth in the form of a little piece of land called Round Hill Hotel and Villas. This is not a sponsored post...I just really enjoyed my stay. I flew in from NYC (JFK). The flight was direct and only a little more than 3 hours. I opted to stay at Round Hill because it received glowing reviews online and it was close to the Montego Bay airport. I also chose it because I could redeem Chase Sapphire Rewards points for my booking. I am super into collecting Chase points, which I was originally saving up for a week's stay at the Four Seasons Bora Bora. Realizing that at my current rate of spending, I'd only earn about a night's stay per year (and that I was in desperate need of a vacation), I decided to dip into my points stash. Hopefully, now that I've put it out into the Universe, a stay at the Four Seasons Bora Bora will still be in the cards for me the near future. I used my points to book a suite. My two main requirements were a bathtub (because my studio in NYC doesn't have one, and I love baths) and an ocean view. When I arrived, the front of desk staff told me that I would be staying in one of their best suites in a premium luxury villa. I nodded and smiled, thinking that they were just trying to hype up the room. As a chauffeur drove me in a golf cart up to my room, I noticed we were going further and further up the hill. I figured that this was either a very good sign or a very bad one. It turns out that I had indeed been given a serious upgrade to a gorgeous, spacious suite in an amazing villa. Ultimately, I am so glad that I took the time and the points to go. I pride myself on being relatively smart with my resources and thinking long-term, but I had gotten so deep into the habit of squirreling everything away that when a rainy day did actually come, it was difficult to convince myself to go, even though it turned out to be an amazing decision for my mental, emotional and physical wellbeing. Ugh these fruits were so fresh and delicious. I didn't do a ton in Jamaica, but that was kind of the point. Some of my happiest memories involved curling up in a fetal position on the lounge chairs after a swim or floating prone on my back in the pool at the villa. Definitely planning on going back with friends to do more funsy things, like the theme parks, waterfalls, nightlife, etc. I just soaked in the incredible atmosphere, the beautiful architecture, and the occasional brief, gentle rain shower. I also had fun trying local dishes, such as Ackee (without the saltfish) and Callaloo. If you look up Round Hill online, you will read about its storied past playing host to royalty, celebrities, and other members of the elite (I was told that Prince Harry and Megan Markle stayed in the same villa that I did during a friend's wedding in '17). What you may not read about was the fact that Round Hill used to be a pineapple and sugarcane plantation. I am immediately put off when I hear about people using American plantations for weddings and the like, so I felt somewhat conflicted about my stay. On the one hand, I wondered if I was dishonoring the suffering of the past and the continuing struggle of the children of the African Diaspora. On the other hand, I love the idea of reclaiming it by lounging around like the carefree black girl that I am. I like to think that the ancestors were sipping Pina Coladas on that beach with me. I am super excited to share my trip to Montréal, Quebec with you. When I moved up to NYC for the summer back in 2013, I started to hear my hip New Yorker friends talk about weekend trips to Montréal as a must-do getaway for the cosmopolitan gourmand. Later, I got a somewhat less flattering (frankly, terrifying) mental picture of Québec after reading Infinite Jest by David Foster Wallace, which features wheelchair-bound Québécois terrorists called Les Assassins des Fauteuils Rollents . Putting my DFW-based dystopian fears aside, my interest in Montréal was piqued again after becoming a full-time associate at my law firm. Short weekend trips can be a good option when deadlines are looming. Finally, after a brief hospital stay, I was reconnected with my cousin, who is currently living in Montréal. I reached out to him about staying for a few days and he said, "Of course!" I hadn't seen my cousin in at least 15 years or so. I think I was around 11 years old at the time of the last full-family gathering, and I think only one of his children had been born. He was still playing in the Canadian Football League and I was doing big things in 6th grade. Now, he's working as the Offensive Coordinator for the Montréal Alouettes. (also known as the McGill Getto, as many McGill students live in this area just northeast of campus). After a great catch up sesh, my cousin walked me to a strip of restaurants on nearby Rue Saint-Laurent for dinner. Obvi, I had to start my trip with a classic poutine: french fries fried in peanut oil to a deep brown, then topped with cheese curds and gravy. I made sure that the gravy on these didn't have any beef stock in it, unlike more traditional recipes (Je suis végétarien). My first true Canadian poutine at Dirty Dogs. On the way back from dinner, my cousin showed me some of the gorgeous murals in the area, including a gorgeous one at the end of his block. I came back a few days later during the daytime when the light would do them justice. The second day of the trip was super hot. The Northeast U.S. was in the middle of an intense heatwave at the time, so I thought my little jaunt up to Canada was perfectly timed. I was wrong. I only made it as far as Place des Arts before the heat prompted me to call an on-demand taxi service to finish the trip to Old Port. Place des Arts contains a ton of cultural spots like museums and performance venues all in one spot. Here, you can see a plaza for outdoor performances during the summer. The Opèra de Montréal to the right, Mt. Royal off in the distance. I feel like I actually did see quite a few people drinking Canada Dry. A one-dollar coin is a "Loonie" (it has a duck, aka a loon on it), and a two-dollar coine is a "Toonie"
Cafes lining the land-bound side of the riverfront. Artsy shot of the ubiquitous maple leaf. Not quite sure what was going on here, but I thought it looked like a giant ball of yarn and knitting needles on top of a car. On my way up from Old Port toward Notre Dame Basilica de Montréal, I happened across Ssense, a high-fashion-for-cool-kids store based out of Montréal. Ssense carries Balenciaga, Gosha Rubchinskiy and Saint Laurent...it's sort of like Montréal's answer to Dover Street Market. The Ssense cafe was on one of the Montréal To-Do lists I'd seen online, so I popped in. I was delighted to see that the store was hosting an installation featuring the Craig Green for Moncler Genius collaboration. While I did not see the infamous tampon jacket featured on Diet Prada, it was really cool nonetheless to see the pieces up close. Brutalist vibes from the 6th floor cafe. Didn't have a chance to go in, but I'm sure it's gorgeous. My cousin's wife recommends the Aura show. One of my favorite days of the trip was when it was cool enough to truly flâneur my way through the sleepy, leafy streets of Montréal. I am obviously a francophile and I was excited for the opportunity to try my favorite french foods while in Québec. My cousin's wife suggested that I try to find an ephemeral outdoor market down a side street for the best baguette, and told me about a charming gazebo-turned-cafe in a park at the end of the lane. Luckily, I was able to follow her directions and snag a baguette as well as a croissant, and visit the park with the gazebo cafe. On my last full day, I walked over to McGill, which my cousin and I both agreed looks like it was ripped straight from the pages of Harry Potter. I saw a ton of students moving in and going on scavenger hunts in matching t-shirts. ...and there you have it! I hope you all enjoyed the pictures, which I shot using a Sony Alpha a6000 (not sponsored). Until next time!